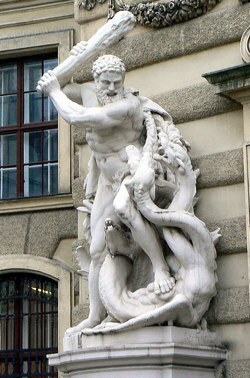 In one of my favorite stories from Greek mythology, Heracles was charged with the task of slaying the nine-headed hydra. As many before him discovered, this was not an easy task – when the hero chopped off one of the hydra’s heads, two heads grew back in its place. After many futile attempts, Heracles enlisted the help of his young nephew to figure out a solution. The nephew suggested sealing the freshly decapitated necks with fire, preventing a new head from growing back. This did the trick and Heracles finished the job. It’s sort of incredible just how many tools are available. A recent report on nonprofit technology trends rattles off stats about social media, email marketing, mobile giving, etc. Nonprofits are bouncing from Facebook to Twitter to text messaging and everything in between. While the report refers to technology trends, it really focuses on marketing and engagement tools. Beyond that, nonprofits have to contend with donor management tools, databases, intranets, video publishing platforms, and more technology than you can shake a stick at. If you can draw a line from one of these new-fangled tools (Facebook) to one of these categories (Makes Money) then you should dig deeper. For example, Facebook can reach 2nd- and 3rd-degree networks (friends of friends), so you can begin to engage new people and develop relationships. This can translate to new donors, volunteers, and participants. And that means more money. It may take a little research to understand how this works, but that’s where the myriad non-profit blogs come into play. Learn about what’s hot, let someone else do the analysis, and experiment with the ones you feel comfortable. You can’t do it all. So put the other stuff on the back burner. If you find yourself constantly jumping from one tool to another and never feeling like you’re getting a solid return from any of them, you’re doing too much. Can’t keep up? Then stop. Focus your efforts on a few things. How well is your _____ doing? If you can’t answer that question, think very hard about what you’re getting out of it. Is Facebook really exposing you to new people? Does your donor database save you time and help you raise money? The beauty of these technologies is that they all offer measurements. If it’s not working, either do it better or stop altogether. You shouldn’t feel intimidated by the technology. 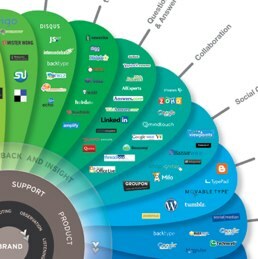 Understand that there are many people who use these tools all the time. Not because these people are smarter or just more comfortable with technology, but because they’ve found a spot in their daily lives. The tools provide some value (albeit sometimes questionable) to the person who uses them. Seek out the technology that provides value to you and can save you time, save you money, or help you raise the funds you need to serve the mission of your organization.